According The Disney Parks Blog guests eating at fast casual and quick-service restaurants at Disneyland and Disney California Adventure will soon be getting the ability to order their meals ahead of time on their phones. The mobile ordering service, which has been very popular since its inception at Walt Disney World last year, allows guests to easily search for a participating location, select an arrival time window for pickup, choose items from the menu and place their order. Guests that use the service will notify the restaurant of their arrival on the app. When their meal is ready the app will let guests know with a notification along with letting them know which pick up area they can go to pick up their meal without ever waiting in line to order and pay. According to Disney Annual Passholder will also be able to to apply their discount to meal purchases using the app. Disney has not yet said when the service will be implemented or which dining locations will see it first, but assured everyone that more information will be announced soon. While I have not had the chance to use the service at Walt Disney World yet, I’ve heard nothing but good things about its convenience and how well it is working out. Mobile Order continues to expand with smaller locations now coming online. 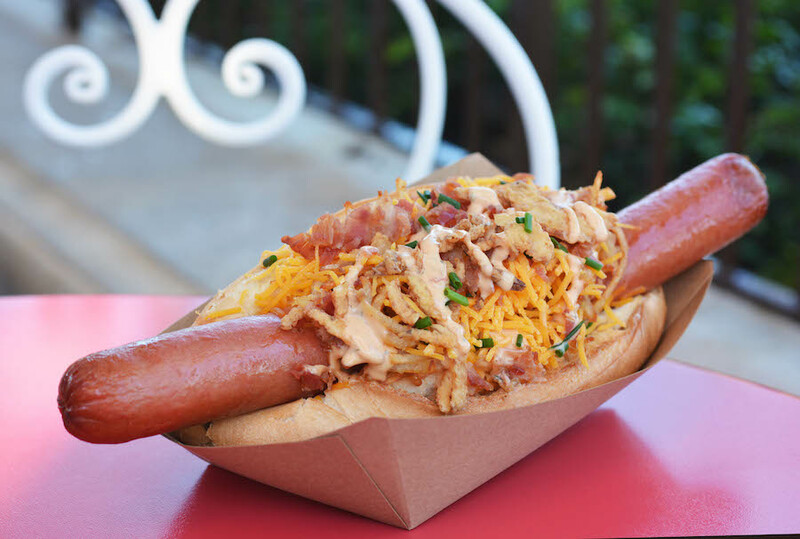 Disney’s Hollywood Studios has added Rosie’s All-American Café, Catalina Eddie’s and Fairfax Fare to the service. Mobile Order allows guests to pay for meals on-the-go within the My Disney Experience app, bypassing the queue to order at the restaurant. Using the app, you can select menu items, customize an order and pre-pay for a meal. Arriving at the restaurant, guest will tap an “I’m here” button in the app, which will notify the kitchen to prepare the meal. Guests will then be alerted through the app to pick up the meal at a designated window. Only credit card payments will initially be accepted via Mobile Order, Disney Dining Plan guests and those wishing to use a discount will have to use the regular line. If you’re like me and a firm believer that breakfast is the most important meal of the day, luckily delicious new quick-service breakfast offerings will be making their debut at Magic Kingdom in the coming weeks. Batter up! Casey’s Corner will be serving muffins, bagels and a croissant donut. Those searching for a more savory, brunch-like option will enjoy corn dog nuggets and the hash brown dog. Sleepy Hollow has been a favorite breakfast stops for many guests. Quite a few guests love getting a hot, freshly-made waffle topped with strawberries and whipped cream and taking a moment to enjoy it in the seating area that overlooks Cinderella Castle. However, the new egg, ham and tomato waffle sandwich which will arrive later this month may become the new go-to. The fruit and chocolate-hazelnut waffle sandwich is also available, in case you prefer a sweet breakfast to a savory one. 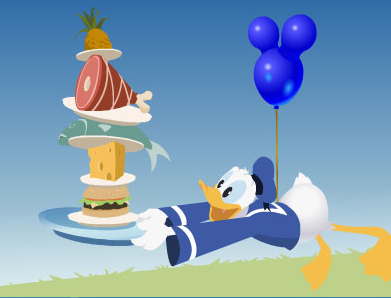 Disney Dine-on-the-Go is planned to test between January 12th and February 22nd. The option will be available for purchase at Guest relations. The price for adults will be $29 plus tax, and for children (ages 3 – 9) the cost will be $12 plus tax.